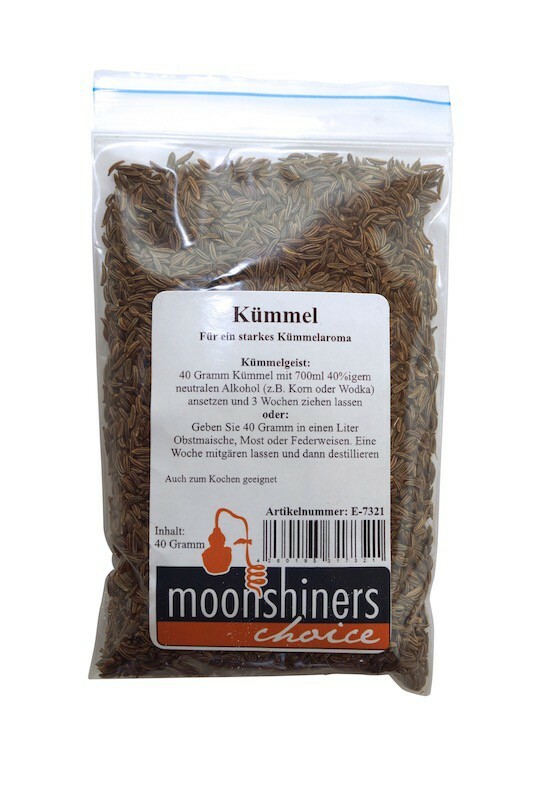 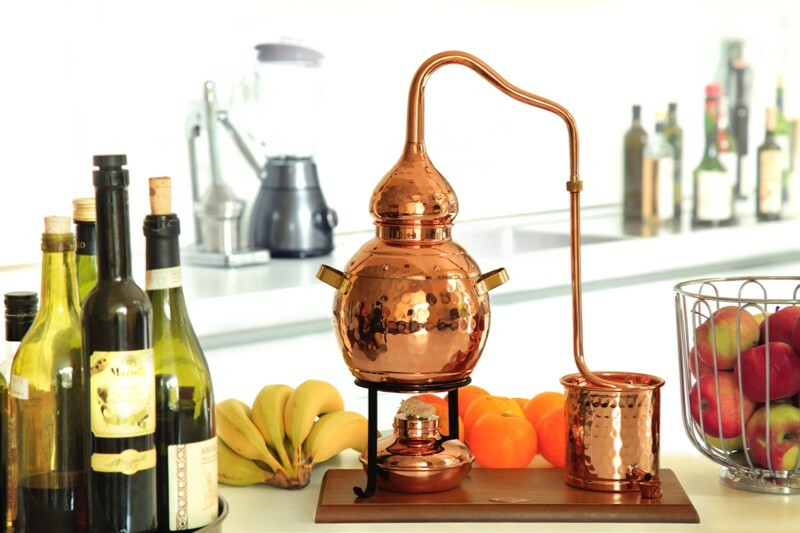 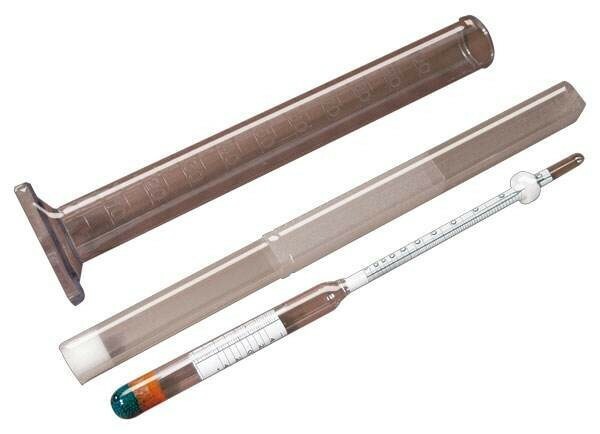 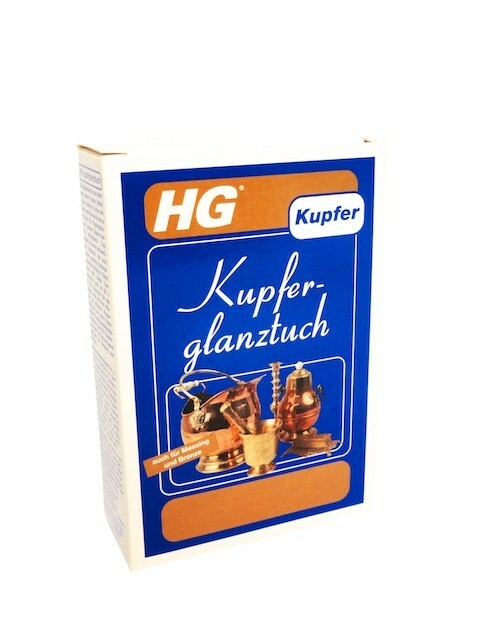 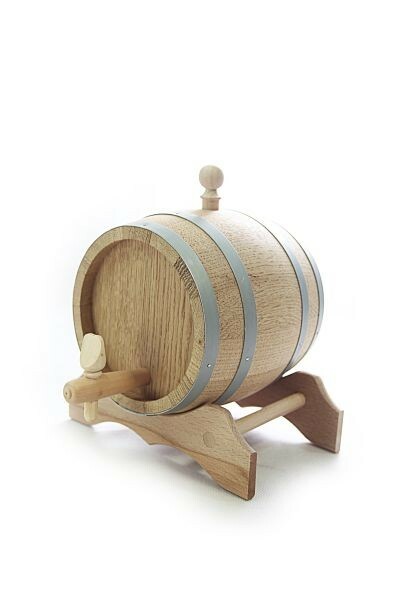 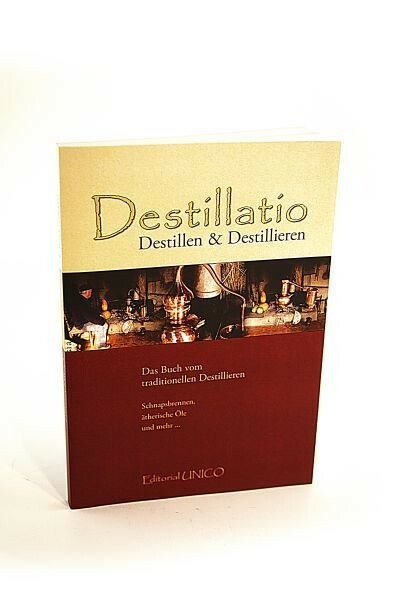 Economical and uncomplicated still for distilling your own fruit schnapps, whisky or brandy. 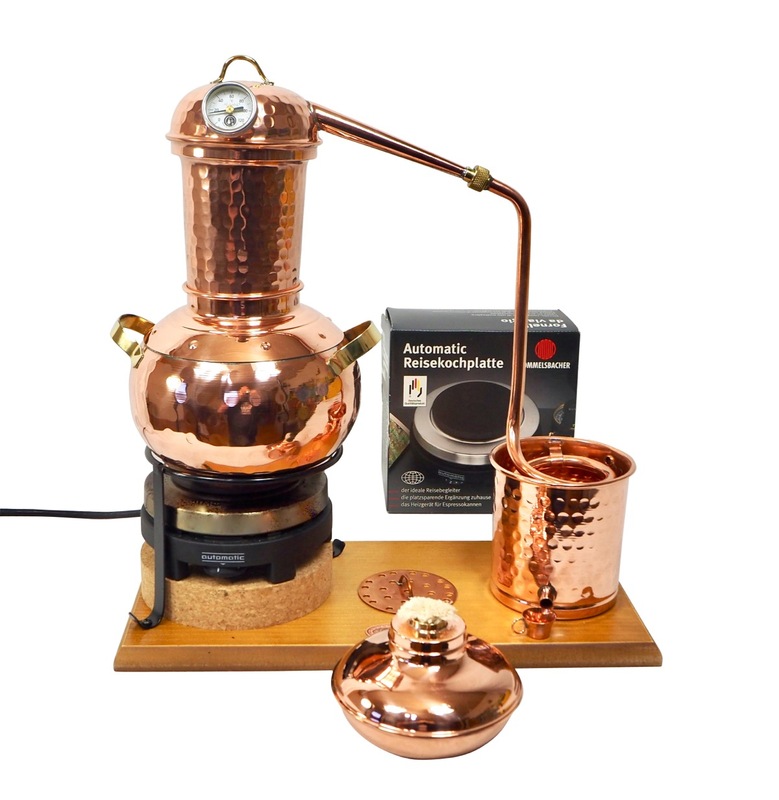 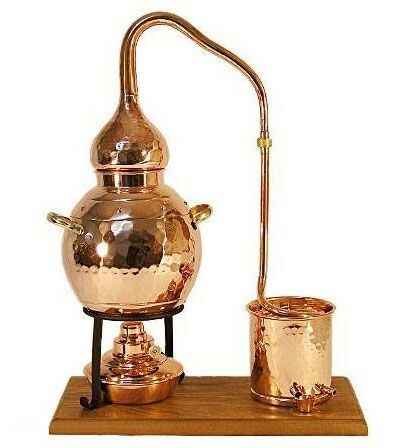 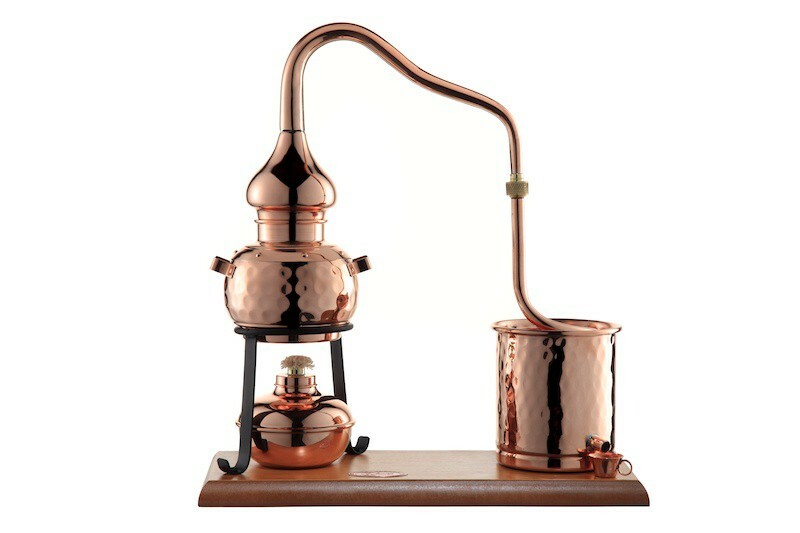 This compact hobby still "Alembic" with a 2 liter boiler was recreated to look like a traditional alembic, which is used even today for strongly flavored distillates. 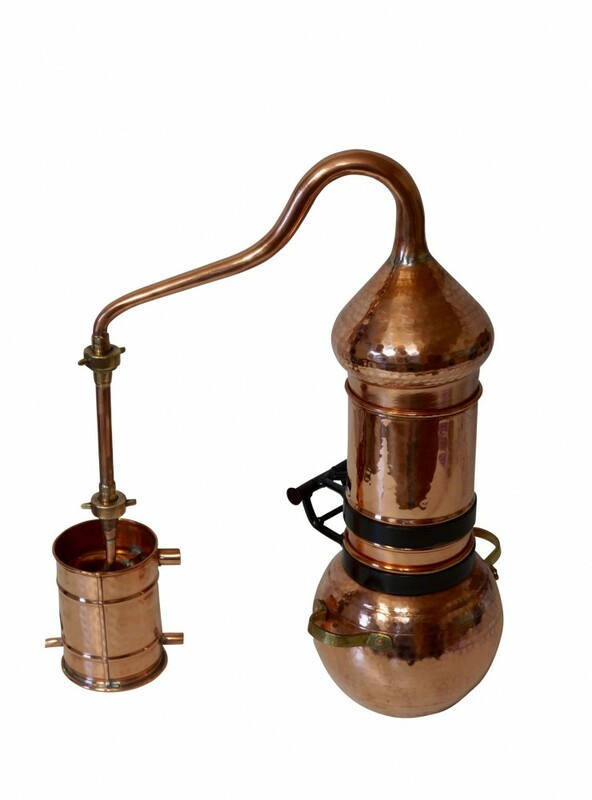 Of course, the many improvements to this classic boiler which have been included over hundreds of years have been retained. 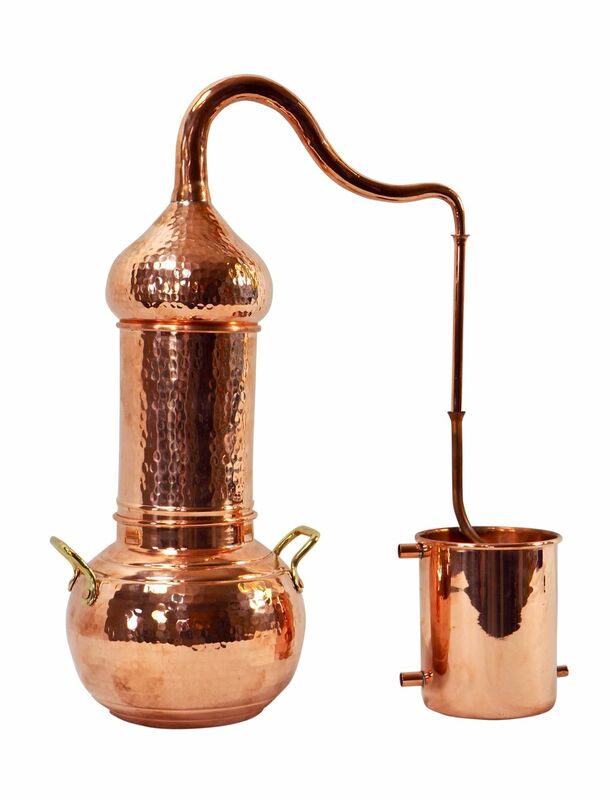 Thanks to the typical round shape of the boiler, this hobby still distributes the temperature evenly, which prevents burning (when distilling your own mash). 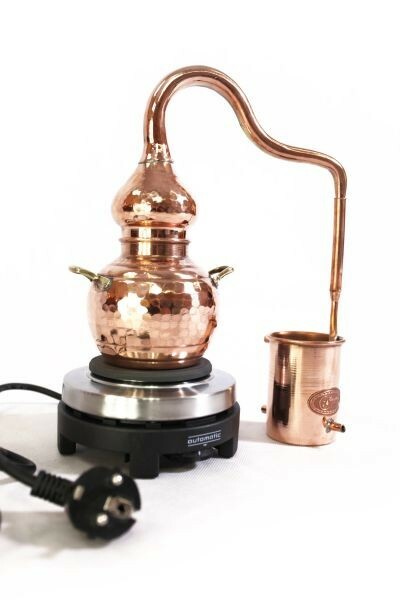 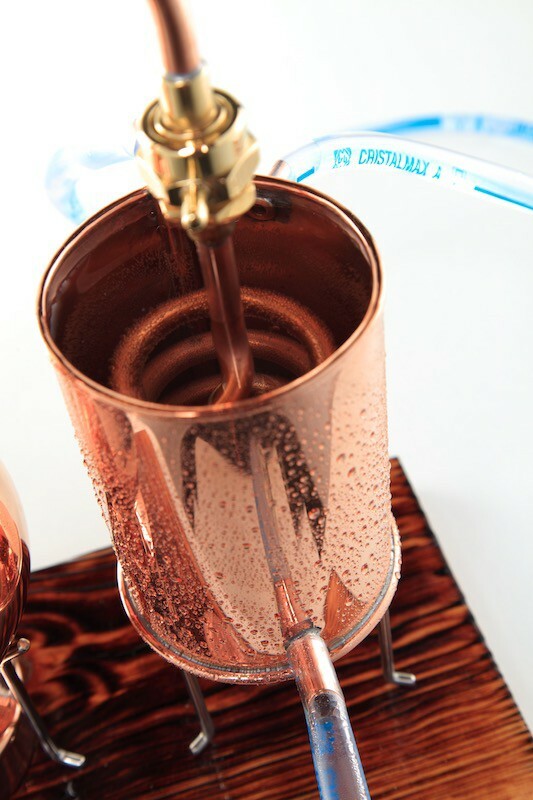 The wide head allows enough space for the vapour to rise and to transport all the aroma into the condenser. 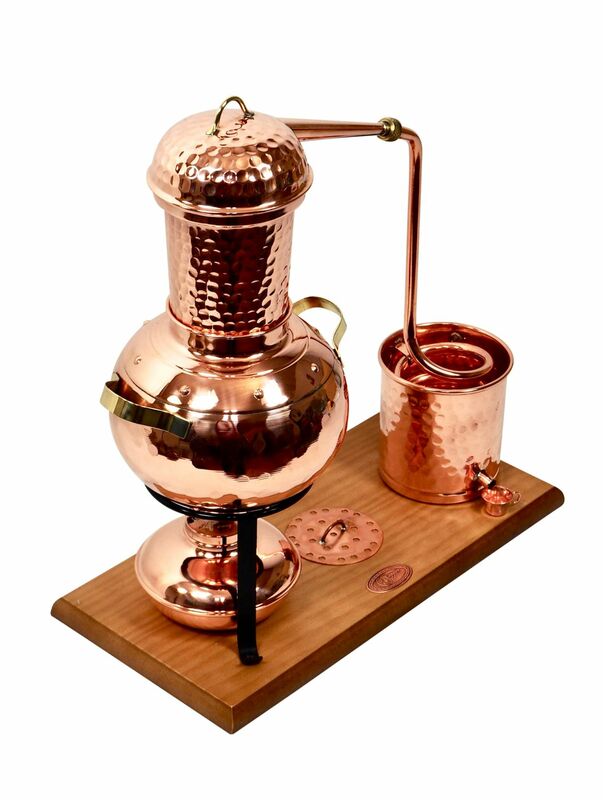 The ideal hobby still when the aroma of your drinks is important! 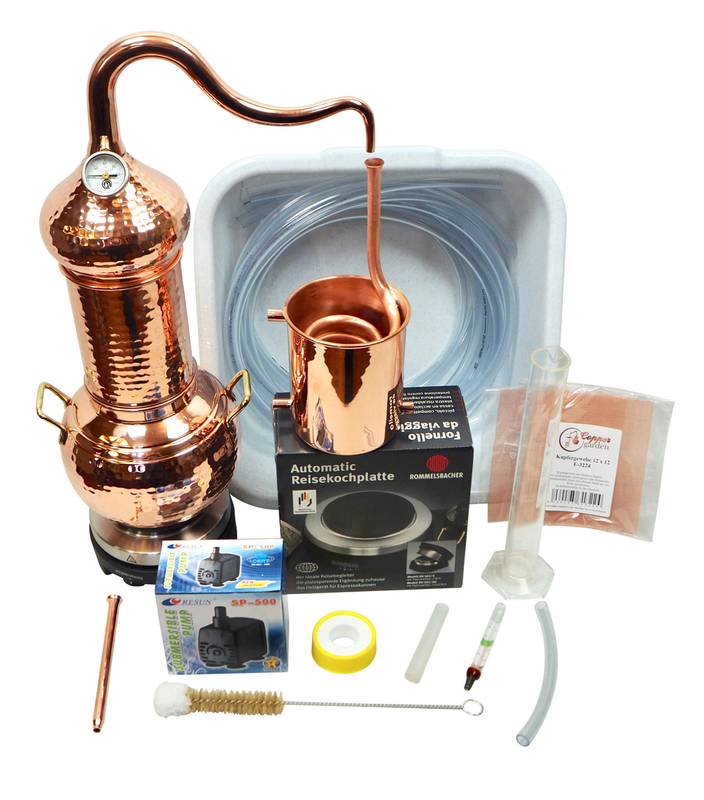 All in all, it is a robust and uncomplicated beginner´s still for hobby use, especially if you want to distil whisky, brandy or fruit schnapps. 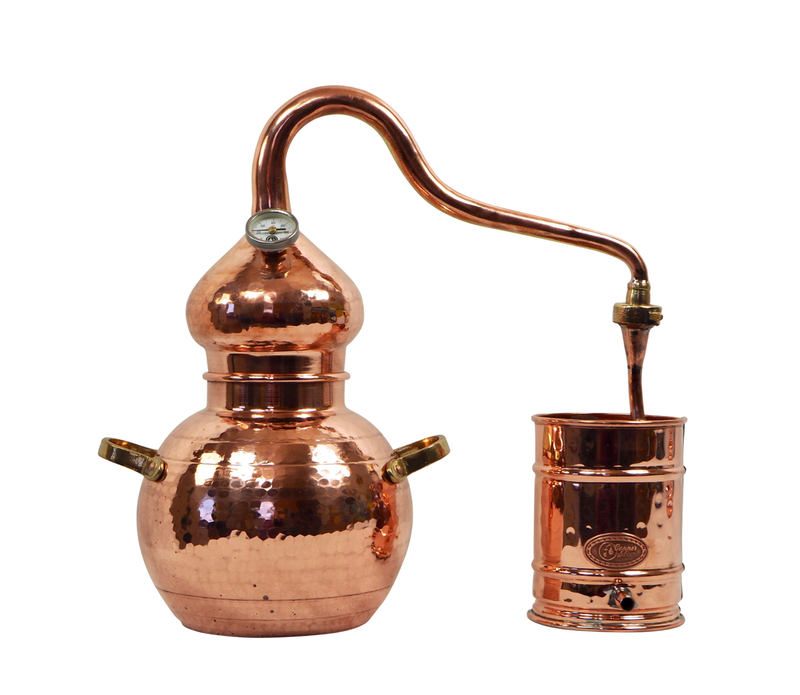 It is also a good size for converting beer to whisky or wine to brandy – or distilling your own mash made from fruits out of your garden. 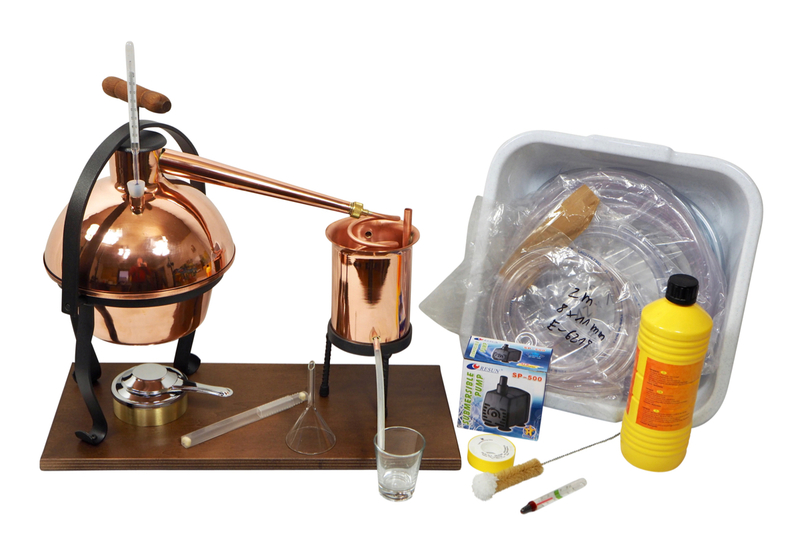 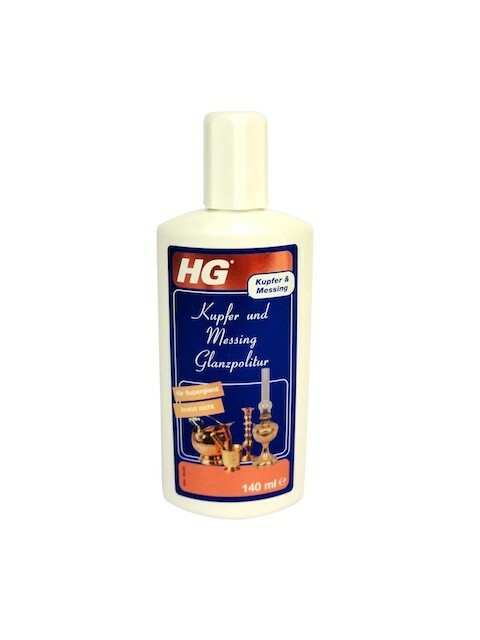 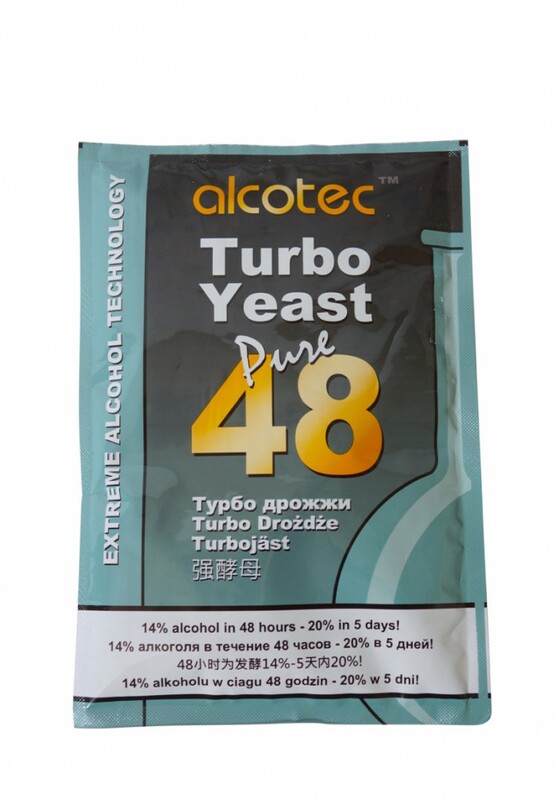 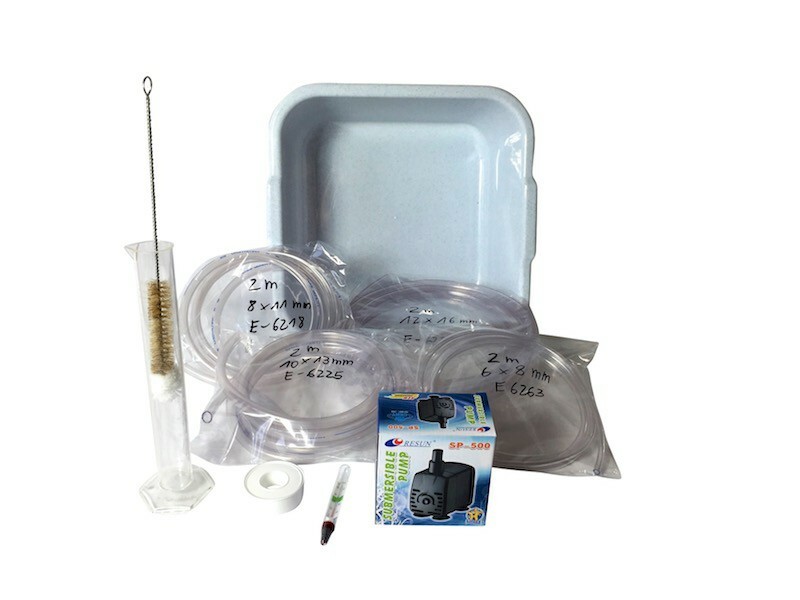 Due to the generously sized boiler of this hobby still, you can obtain a high yield (and good quality) in one run and quickly fill one or two bottles or small barrels.